​Medical marijuana advocates are calling on Rhode Island Governor Lincoln Chafee to open cannabis dispensaries allowed under state law. The governor blocked opening of the shops due to the threat of federal prosecution after receiving one of the threatening letters recently sent by U.S. Attorneys in medical marijuana states. A Statehouse protest is planned for Tuesday by the Rhode Island Patient Advocacy Coalition (RIPAC) to urge Governor Chafee to allow three dispensaries to open, reports The Associated Press. The state selected three shops to dispense cannabis under Rhode Island’s medical marijuana law. Chafee last spring suspended the plans to open the shops after federal prosecutors warned that dispensary personnel could face prosecution for violating federal marijuana laws. ​Shock waves are still reverberating through the medical marijuana community after more than half-a-dozen growing operations were raided by the Colorado Springs Metro Vice unit on Wednesday. 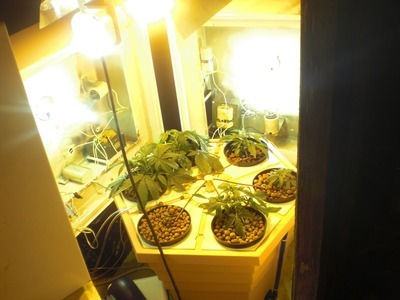 Police served seven warrants, claiming they were all illegal growing operations, reports 11 News. All seven were growing operations and not storefront dispensaries, according to police spokesman Sgt. Steve Noblitt.